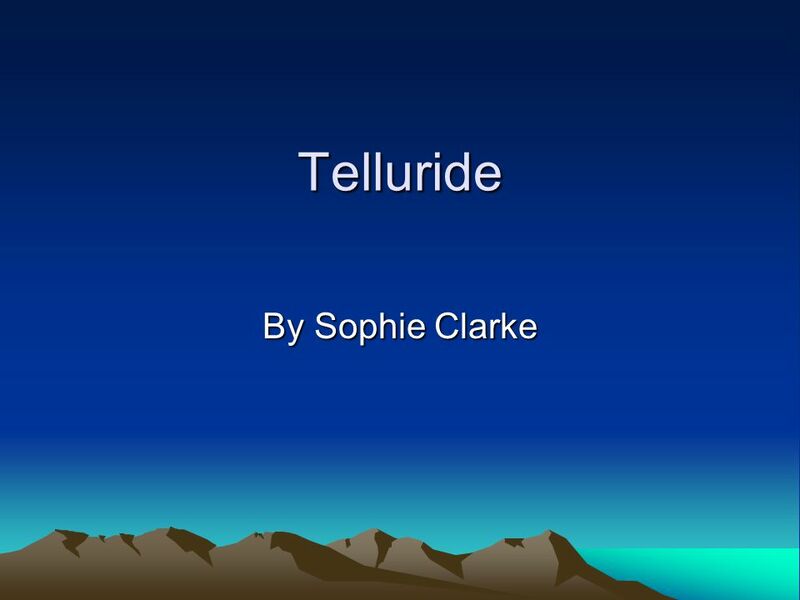 Telluride By Sophie Clarke. HOW WHERE YOU LIVE AFFECTS HOW YOU LIVE? 2 HOW WHERE YOU LIVE AFFECTS HOW YOU LIVE? 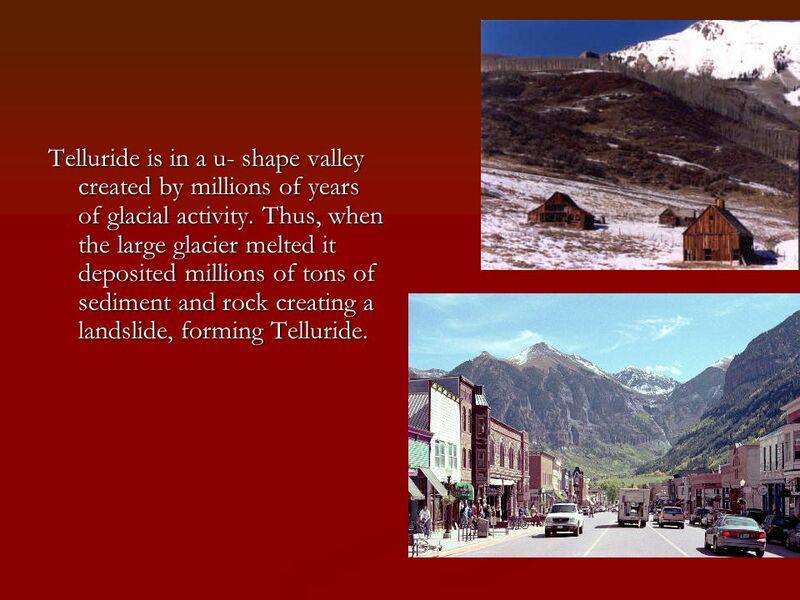 4 Telluride’s Rocky Mountains are mostly made up of the sedimentary rocks Conglomerate and Limestone. 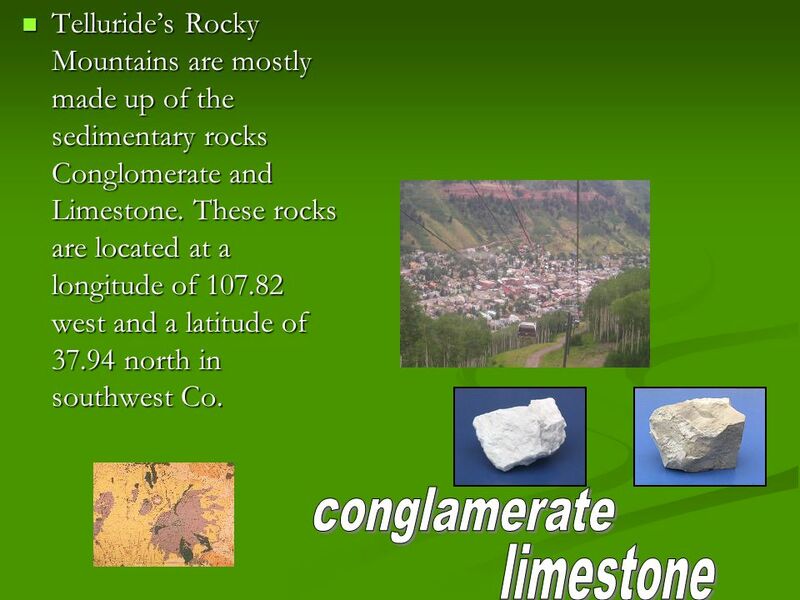 These rocks are located at a longitude of 107.82 west and a latitude of 37.94 north in southwest Co. Telluride’s Rocky Mountains are mostly made up of the sedimentary rocks Conglomerate and Limestone. These rocks are located at a longitude of 107.82 west and a latitude of 37.94 north in southwest Co.
5 Telluride is in a u- shape valley created by millions of years of glacial activity. Thus, when the large glacier melted it deposited millions of tons of sediment and rock creating a landslide, forming Telluride. 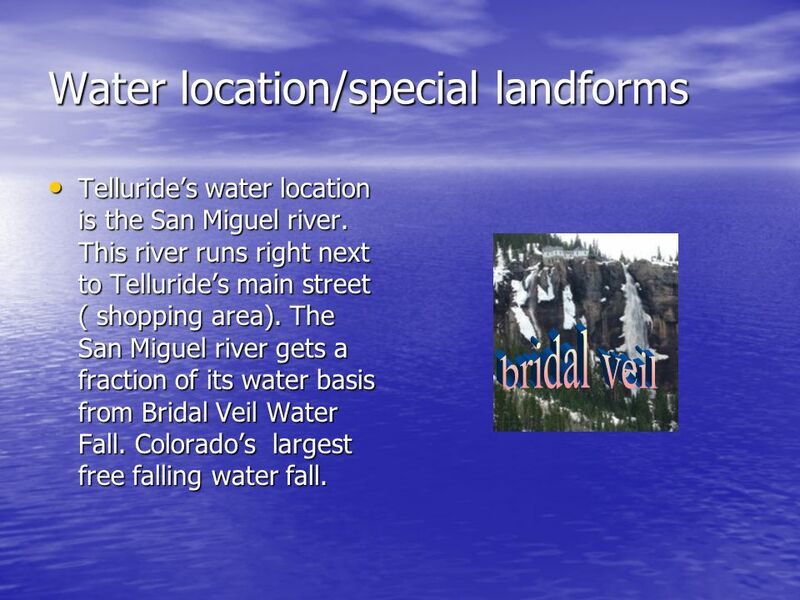 6 Water location/special landforms Telluride’s water location is the San Miguel river. This river runs right next to Telluride’s main street ( shopping area). The San Miguel river gets a fraction of its water basis from Bridal Veil Water Fall. Colorado’s largest free falling water fall. 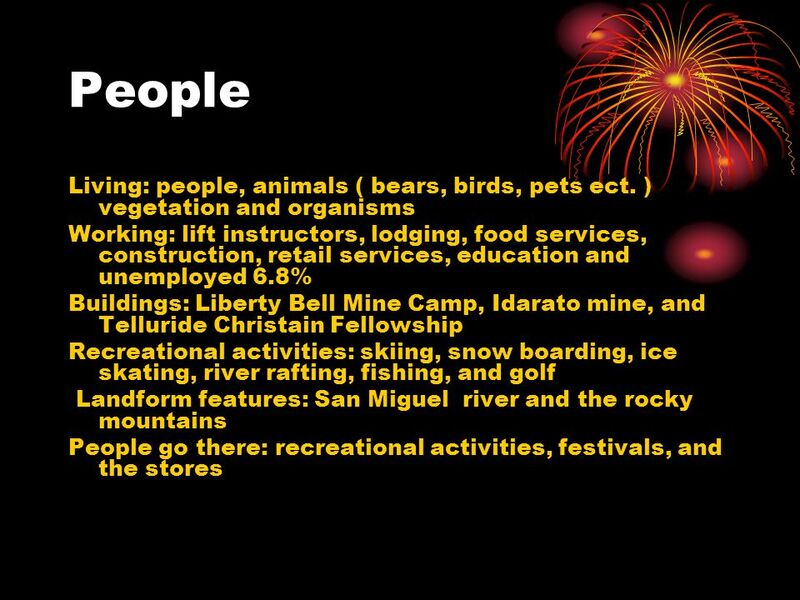 Telluride’s water location is the San Miguel river. This river runs right next to Telluride’s main street ( shopping area). The San Miguel river gets a fraction of its water basis from Bridal Veil Water Fall. Colorado’s largest free falling water fall. 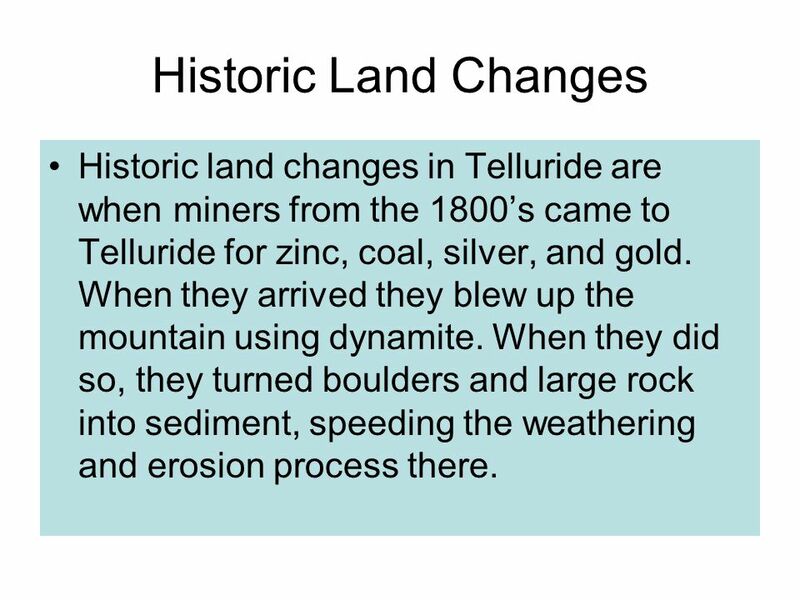 7 Historic Land Changes Historic land changes in Telluride are when miners from the 1800’s came to Telluride for zinc, coal, silver, and gold. When they arrived they blew up the mountain using dynamite. When they did so, they turned boulders and large rock into sediment, speeding the weathering and erosion process there. 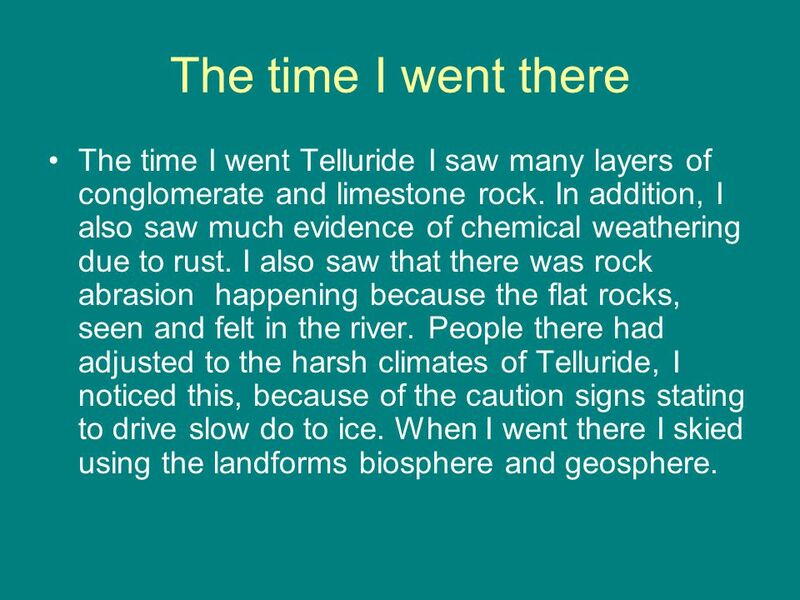 9 The time I went there The time I went Telluride I saw many layers of conglomerate and limestone rock. In addition, I also saw much evidence of chemical weathering due to rust. I also saw that there was rock abrasion happening because the flat rocks, seen and felt in the river. People there had adjusted to the harsh climates of Telluride, I noticed this, because of the caution signs stating to drive slow do to ice. When I went there I skied using the landforms biosphere and geosphere. 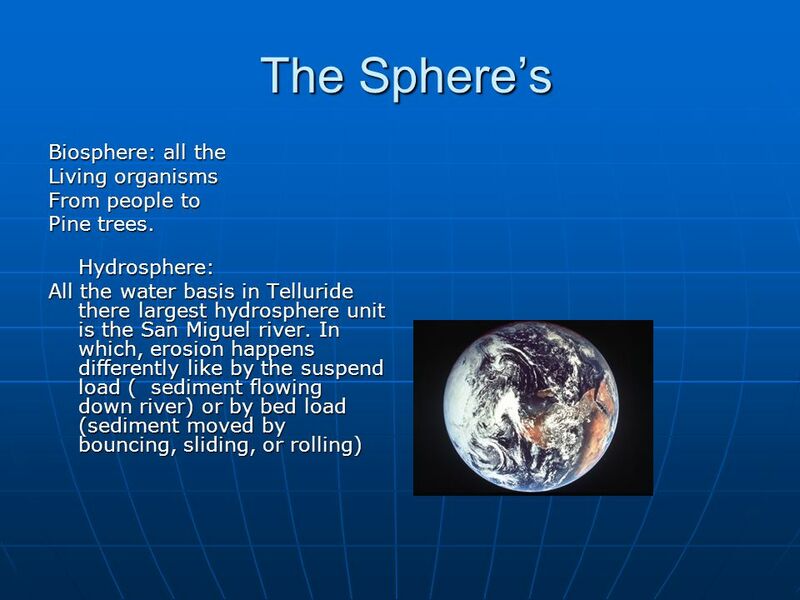 11 The spheres geosphere: geosphere: Is the rocky Mountains that run that runThrough Telluride. Under Telluride’s main crust there are large Crystals that why mining was so popular. Then there is mantle lithosphere ( body of rock that help plates move). Then there is magma just Like any area. Atmosphere: is the change in elevation, since most Residence Atmosphere: is the change in elevation, since most Residence come from come from other other towns. towns. 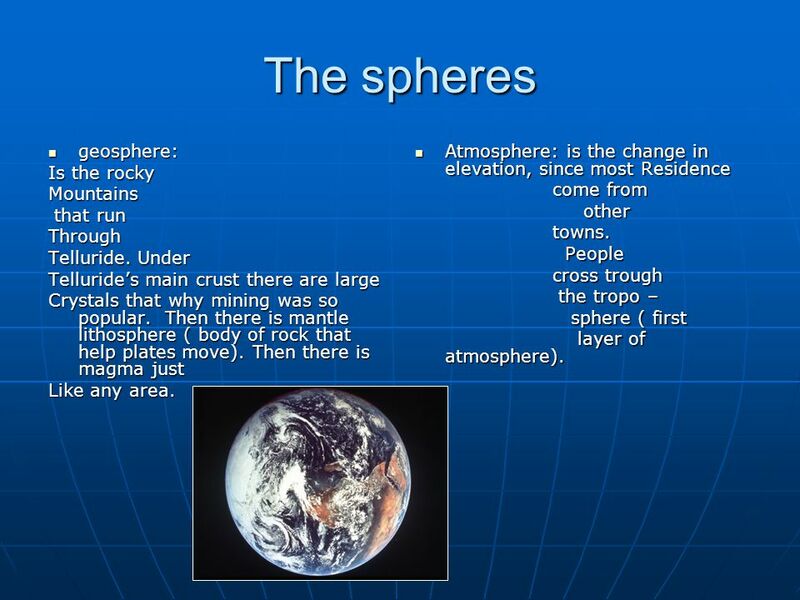 People People cross trough cross trough the tropo – the tropo – sphere ( first sphere ( first layer of atmosphere). layer of atmosphere). 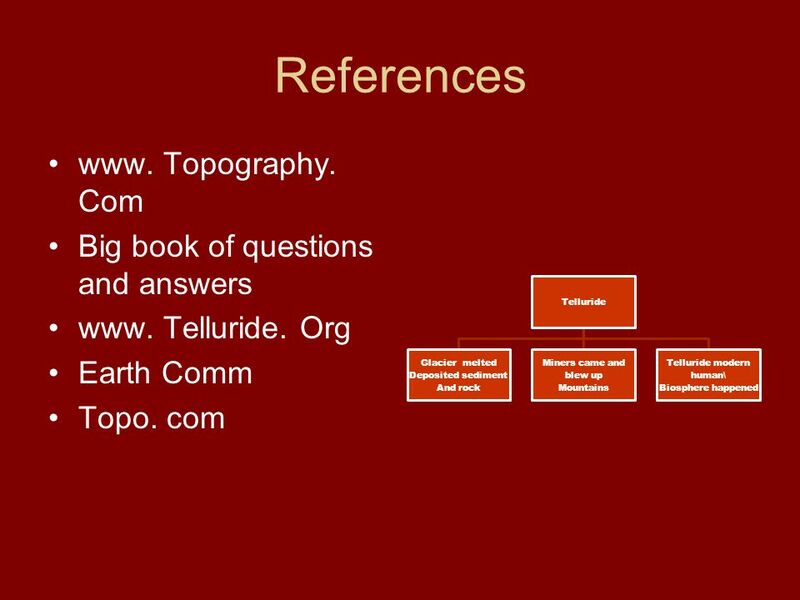 Download ppt "Telluride By Sophie Clarke. 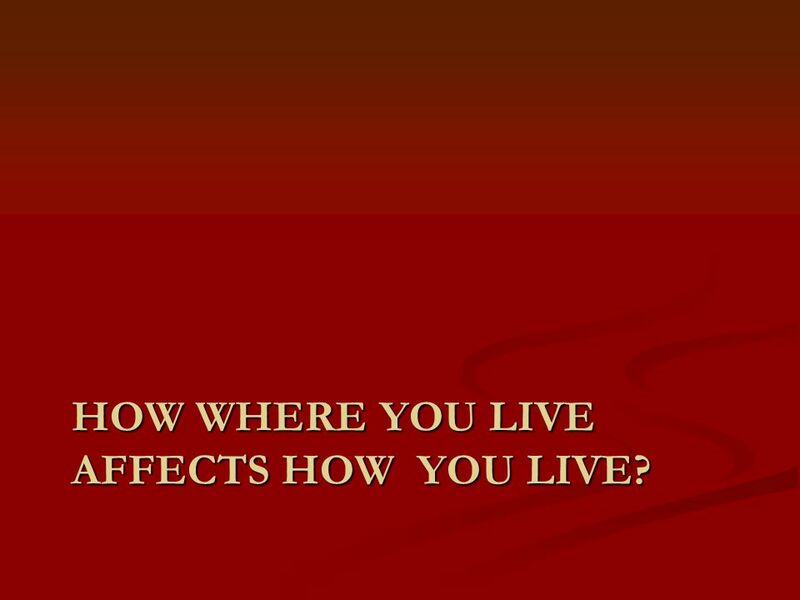 HOW WHERE YOU LIVE AFFECTS HOW YOU LIVE?" Ch. 2 “A Living Planet”. Earth Science Chapter 1-2, 1-3 & 1-4. A presentation. Key Question: How do rocks and landforms affect what we do? Rocks and landforms affect people Rocks and Landforms affect the shape of.  Write the answers on your bellwork.  1. The inside of the earth is made up of ____ layers, the _______, ________, ________, and ____.  2. The _____. Ms Gardner’s Class Are You Smarter Than a 5 th Grader? Chapter 11 Rivers & Groundwater. PHYSICAL PROCESSES Unit 2 Notes. 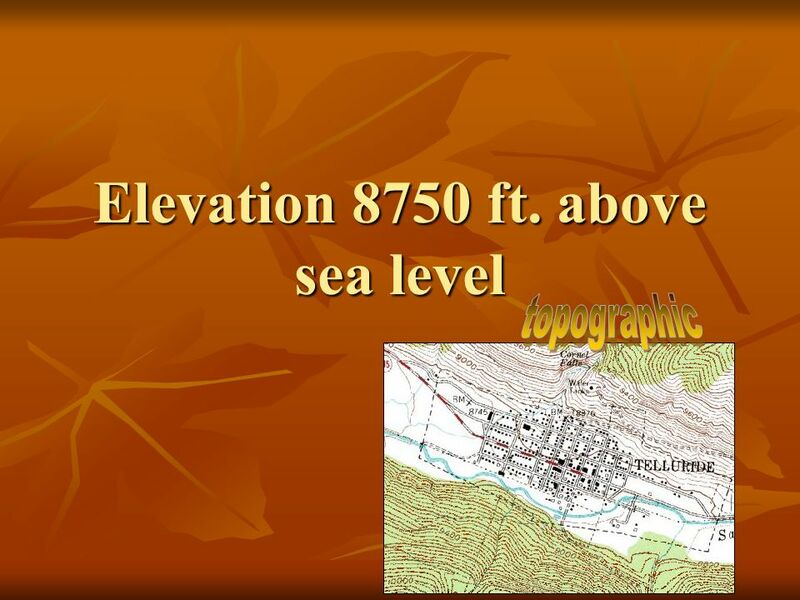 EARTH-SUN RELATIONSHIPS  Tilt: the angle of incline of the earth’s axis affects the temperature of a place.  Earth’s.